Spring is in the air. The sun is a little brighter. Between the clouds and rain there are days of warmth to bask in. My spirits begin to lift with the sun. 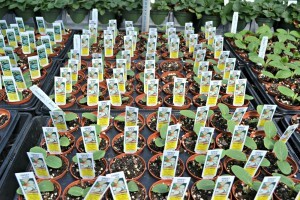 My mind trails to the fl ower beds and all I need to do to get them ready for a new season. Then, I begin to dream about eating a tomato sandwich. It has to be the best thing I have ever put into my mouth. The rich, tangy, sweet flavor of a juicy red tomato between two slices of bread. This combination leaves my stomach feeling healthy and satisfied. A homegrown tomato simply cannot be compared to any other. Between two slices of nutritious whole grain bread, maybe a slice or two of cucumber or green pepper, a tomato sandwich can be a well balanced meal. Now, just imagine this delectable creation on a slice of homemade bread still warm from the oven. With this dream in my head, I have begun working on my bread making skills. This skill has turned out surprisingly easy with the new bread machine I received at Christmas. All I have to do is measure out about five ingredients, plug it in and within an hour my kitchen smells heavenly and I have a perfect loaf of bread. 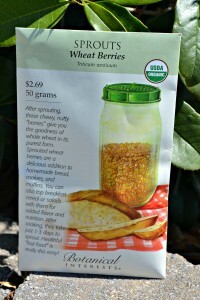 Using honey instead of sugar and adding whole grains, nuts, or seeds makes for a nutritious loaf of bread. My trials have been so easy and delicious that I am determined to try to make all of the bread my family eats. 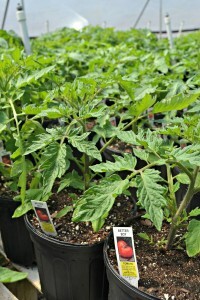 We also carry a wide selection of smaller tomato varieties. 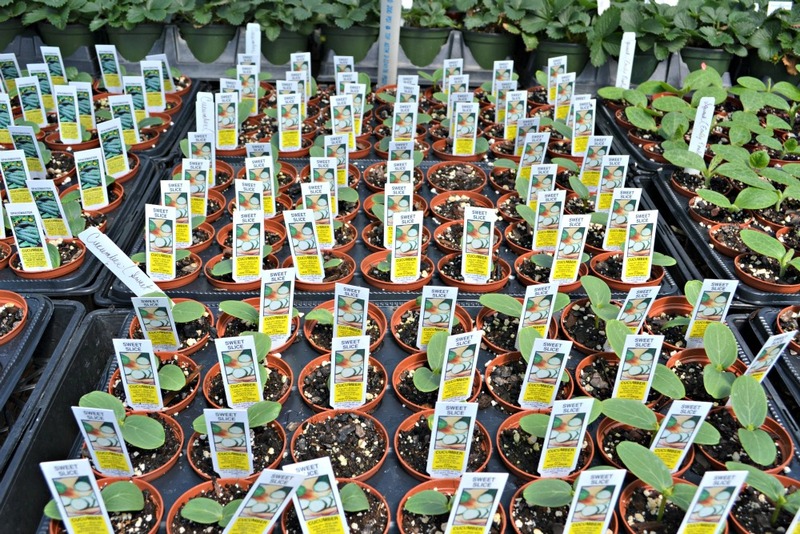 Consider adding cucumbers and a colorful red, yellow, or green pepper to your garden or pot. Toss in some herbs, a little fertilizer, water and a sunny spot. 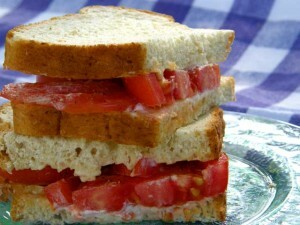 Dream about that juicy, red, homegrown tomato sandwich you will be eating in the sultry days of summer.